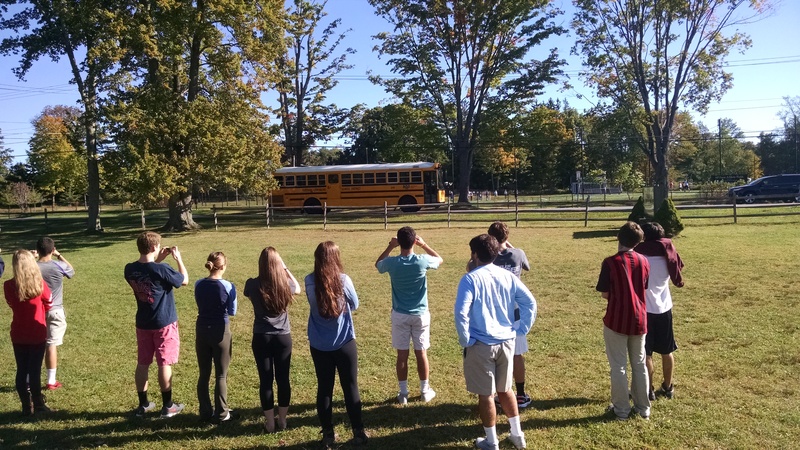 College-Prep Physics: Today we went out to the lawn to film cars zooming by in front of the high school. 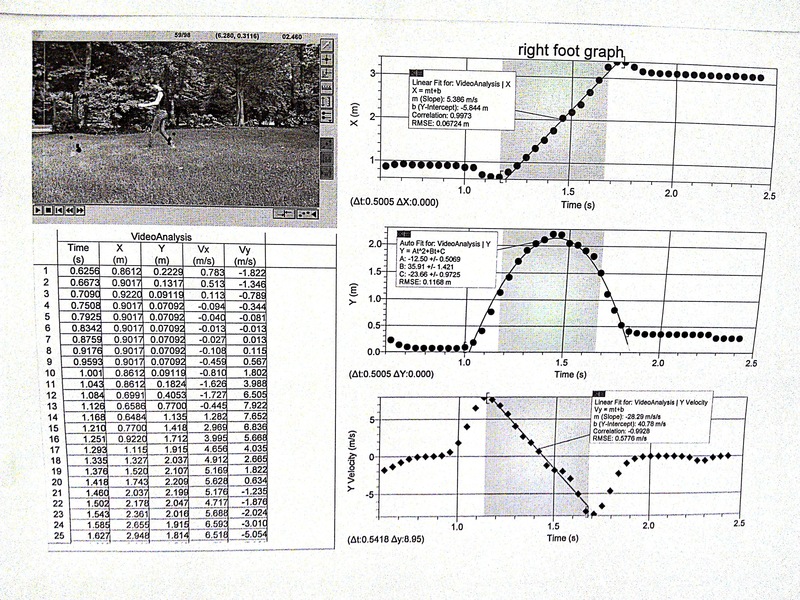 Then we went to the computer lab to learn how to analyze the video in Logger Pro in order to determine the speed of the cars. (We set the video scale using fence posts along the road — they’re 10 feet apart.) 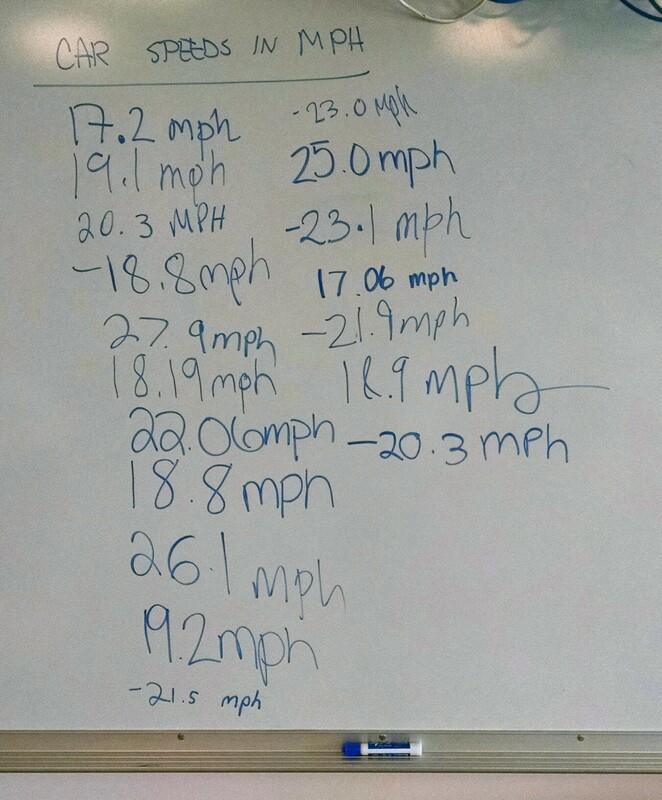 We shared out our data to determine if there was a speeding problem in front of the school. 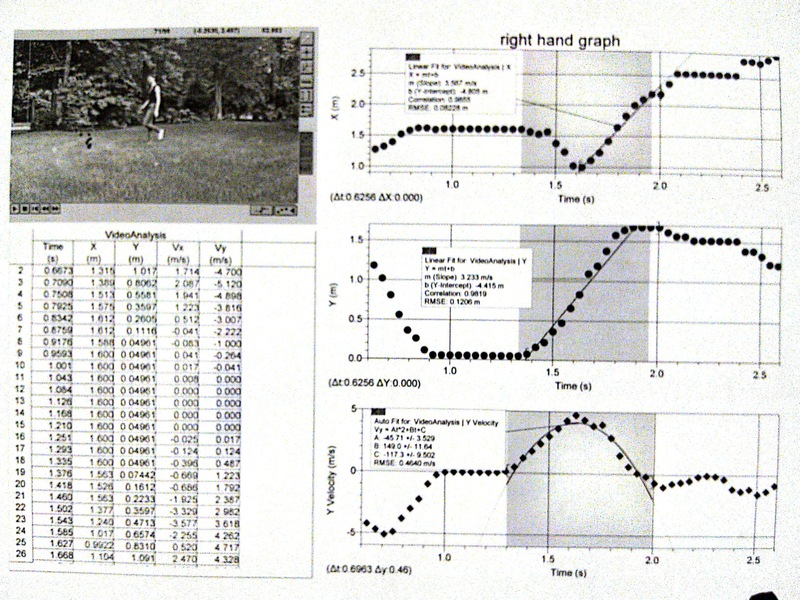 It’s not even October yet, and students have already had a hand at using each of the different data collection techniques we’ll be using throughout the year: Desmos on Day 9, Logger Pro probeware on Day 13, and Logger Pro video analysis today. 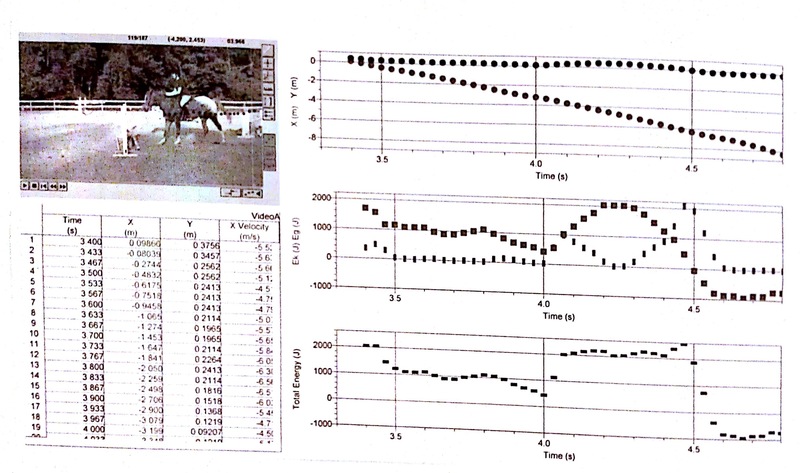 College-Prep Physics: A student filmed several horse jumps and analyzed them in Logger Pro, calculating the gravitational, kinetic, and total energies. Great to see that the total energy remains relatively flat while the horse is in the air. 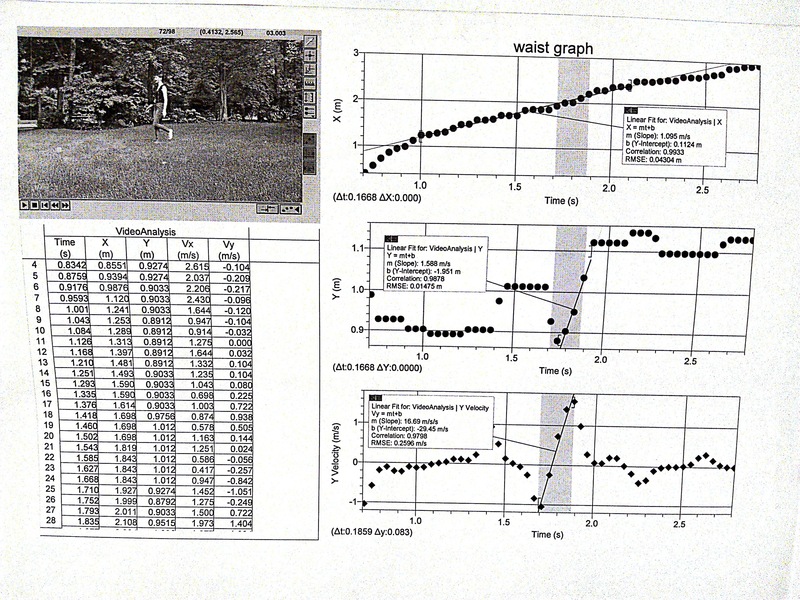 College-Prep Physics: Student used Logger Pro to do a video analysis of her doing a cartwheel. She tracked four different body parts: right foot, right hand, waist, and head. 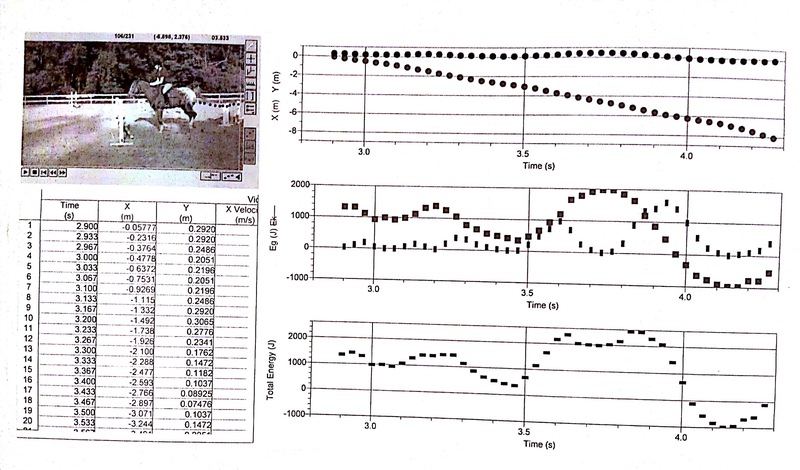 Really neat to see the different motions (constant velocity, constant acceleration) show up in the position and velocity graphs. 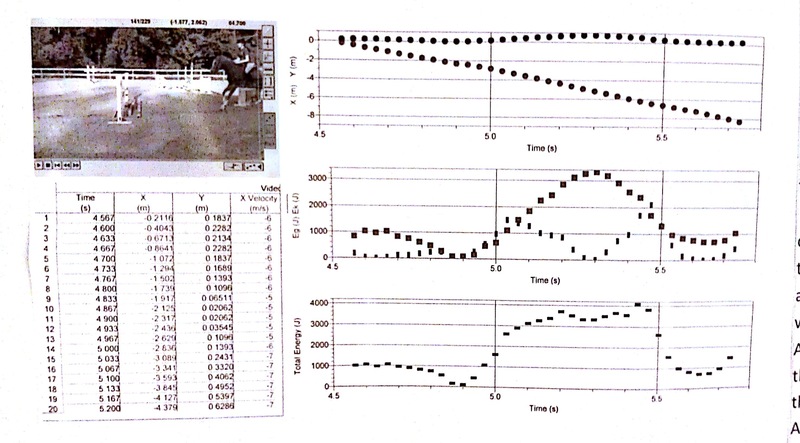 Considering making this kind of analysis of human (or even animal) motion an assignment for next year.